I’ve been beating myself up recently. Figuratively, of course. I go through stretches of time (from a few days to a few weeks) where I struggle internally with not being productive enough, not being good enough (insert any subject here), not being (blank) enough, yada, yada…. I’ve noticed in the last few months that blogland fuels those internal demons. I read other blogs and think, “wow, look at everything she got accomplished this week! And what did I do? My sewing machine didn’t even get turned on this week! I haven’t baked anything in weeks! Why do I even bother.” Why do we find that we have to compare ourselves to others? Especially other women? Aren’t we all struggling to find a balance between our responsibilities and our “life”? Can’t we just support ourselves and each other by saying, “wow, isn’t that great? I’m so inspired by her, I’m going to see what I can get done with my 15 minutes of free time this week!” Instead, I feel a little bit like the Flying Geese in the block I made for Victoria last week, going around in circles! I don’t have children, and that makes me feel even more inadequate. Many of the women I follow here in blogland have kids to balance, too, and they still find time to do creative things, to bake, to craft, and to BLOG ABOUT IT! I don’t have kids, but I have worked to support myself for the past 20 years, most of those years working more than one job at a time to make ends meet, because there was no partner to help pay the bills. I currently work outside the home 42-50 hours a week and spend 2.5-3.5 hours a week commuting. Why can’t I give myself a break for that demand on my time? Why do I have to feel inadequate because I can’t do as much as my neighbor seems to do? Why do I have to compare myself to her at all? Whay can’t I lift her up because of her great accomplishments and be proud of my own at the same time? So, I’m turning over a new leaf, so to speak… I’m going to try and focus on what I accomplish everyday, not what I didn’t get done. And, most importantly, I’m going to try not to compare myself to anyone else. I am enough. I do enough. I have enough. It is enough. Tonight, I have a little bit of time to myself, and I’m going to play with these gorgeous shot cottons and create something for Rita. And if that’s all I accomplish this week, that will be enough. Stop beating yourself up, Doris! You should be proud of your accomplishments, and stand tall with your position in life! If it's any consolation, I thought I was the only one who thought like that, stemming from a lack of encouragement or confidence as a kid! Some days I just sit on the couch and stare at the walls. Other days, I have to force myself to be creative, and then I feel better. 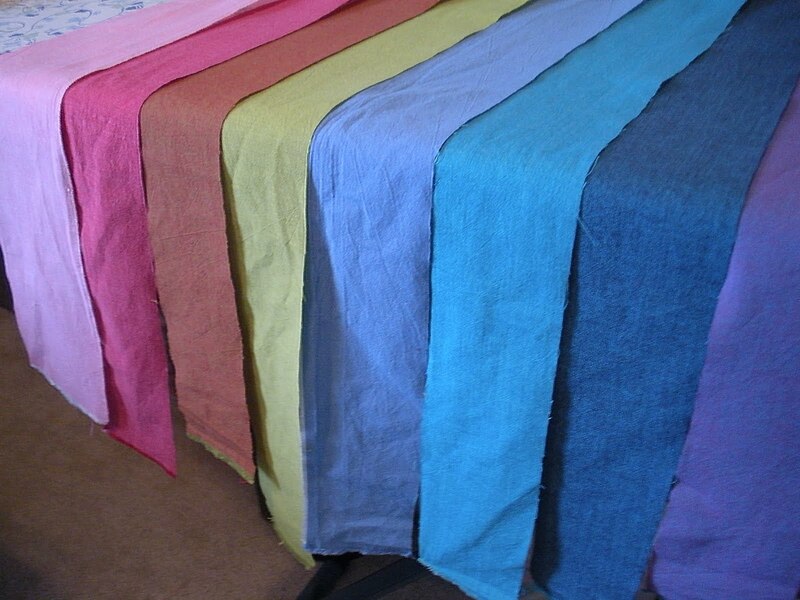 Looking forward to seeing what you do with those gorgeos cotton fabrics! BTW, love your block for V! Oh, Doris, you made me tear up *sniff*. We shouldn't compare ourselves with others, but as women, of course we do it. Everyone's life is different, our needs and abilities are different. Whatever it is, it is good enough! Have a wonderfully satisfied week, knowing you're doing what you can, and feel great about it! Oh my! These thoughts are way too deep for someone with as full a life as you have. But, I do think it's a woman thing, and you'd find that if you had kids too, you'd still manage to figuratively beat yourself up because you weren't accomplishing enough… or being a good enough parent, or spouse, or… you fill in the blank. You're not alone in having these thoughts, and I hope you'll soon put them behind you. That pressure to produce is in your mind, so smash the guilt and insecurity, and enjoy life. This is a message for every one of us. Live carefree! That's a big thing to identify those internal struggles. 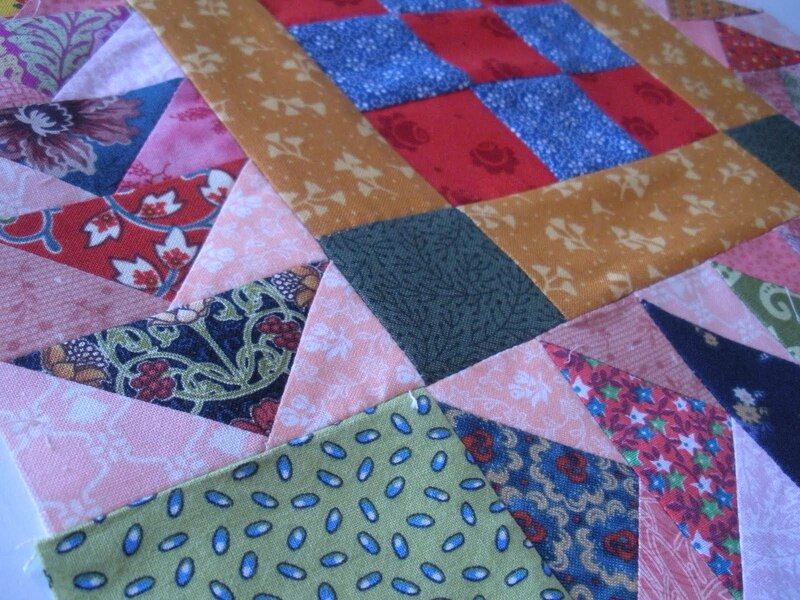 I balk at the women who churn out 40 quilts every year and decided I didn't want that. What I do want is to have fun and enjoy what I do manage to get done. Iremember how hard it is when working long hours. 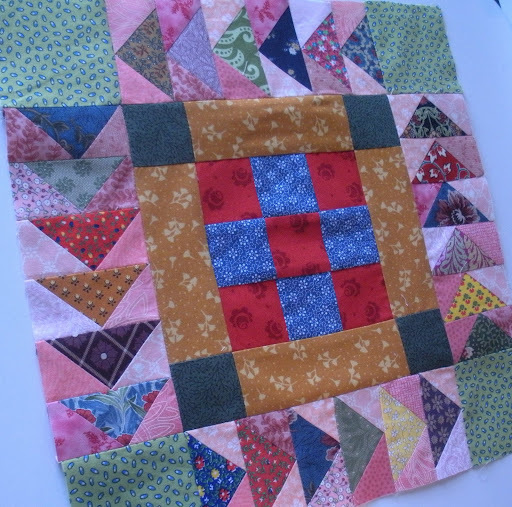 Following quilting blogs definitely gives us more inspiration that we could ever have imagined we'd find. But the negative side to it is the natural comparisons we make (yes, definitely a woman thing) — comparing what others do to the quality and quantity and creativity of our quilts (or lack thereof). Don't go there! I've done the same thing, and it accomplished absolutely nothing. We quilt! We create! We share! The numbers we crank out and the precision of our projects is not the most important thing. Doing something we enjoy is the most important thing. If others benefit from what we do or enjoy seeing what we do, bravo all around! I've enjoyed reading your blog for months and months and that will continue. You're Doris. You're a quilter. You're a fantastic lady! BTW, those fabrics are YUMMY. Oh Doris! I think we all go there…but we shouldn't…be inspired by the creativeness of others and their achievements…but don't let it pressure you and make you feel inadequate….we are all so different….too different to compare…don't do it…enjoy and celebrate your achievements – they are yours to celebrate….enjoy your week…you are amazing! Hey, sorry to hear you were so downhearted here in this post. I hope you are feeling better now…if not, go look at something lovely you made, and admire it (really admire it!!) I'm sure you can find something wonderful just steps away from wherever you are! oh, boy. what a constant struggle this is! and blogging definitely does make things worse…comparatively speaking, at least for me. it sounds like a good plan to focus on what you DO get done…not what you don't!